Clean and convenient. Reasonable breakfast selection. Where to find Honey Harbour hotels near an airport? Where can I find hotels in Honey Harbour that are near tourist attractions? 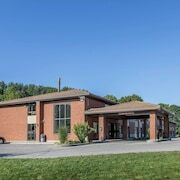 For those travelers planning a trip to Barrie - Orillia and are looking for a comfortable hotel in Honey Harbour, there are a number of alternatives. Honey Harbour offers 3 hotels within 0.1 kilometres (0.06 miles) of the heart of town. If you are seeking a hotel that is within easy walking distance of the Honey Harbour city center, Honey Harbour Cottage and Honey Harbour Hideaway would be perfect. You could investigate the Christies Mill Inn & Spa or the Sherwood Inn. The Christies Mill Inn & Spa is situated 9 kilometres (6 miles) from the main part of Honey Harbour. 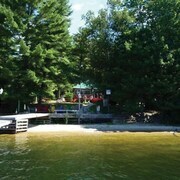 The Sherwood Inn, is 30 kilometres (19 miles) away. 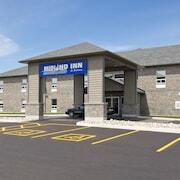 Two other hotel and apartment options in the area include the Best Western Highland Inn & Conference Centre and the Comfort Inn Midland. Once you have got a feel for Honey Harbour, why not travel a little further afield? The Southern Ontario region has many things to see. Southern Ontario has beaches, coastal plains and forests, and common Southern Ontario destinations include traditional villages, churches and art museums. Common things to do in this part of Canada include skiing. Barrie is 55 kilometres (33 miles) to the south of Honey Harbour and is where you'll find Georgian College and Snow Valley Ski Resort. 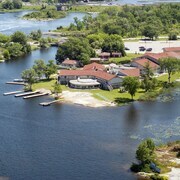 Barrie hotel options include the Hampton Inn & Suites Barrie and Holiday Inn Barrie Hotel & Conference Centre. 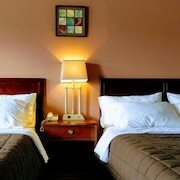 Alternatively, you could consider staying at Midland, 15 kilometres (10 miles) to the southwest of Honey Harbour, where you can pick from the Super 8 Midland and Midland Inn & Suites. The Bamboo Spa and Midland Golf and Country Club are a couple of the more popular attractions to experience when you're in Midland. If you enjoy sports and enjoy watching local games you might choose to take a trip to Barrie Molson Centre, which is 60 kilometres (37 miles) to the south of Honey Harbour. Those sports fans wanting to find a bed nearby can take their choice from the Holiday Inn Express Hotel & Suites Barrie or the Comfort Inn Barrie. Pearson International Airport is a logical airport for flying into Honey Harbour. It is 130 kilometres (82 miles) away. If you would like to stay nearby, try the Sheraton Gateway Hotel In Toronto International Airport or Residence Inn by Marriott Toronto Airport. What are the most popular Honey Harbour hotels? Are there hotels in other cities near Honey Harbour? What other types of accommodations are available in Honey Harbour? Explore Honey Harbour with Expedia.ca’s Travel Guides to find the best flights, cars, holiday packages and more!